There has been an unusual surge of interest in the climate sensitivity based on the last decade’s worth of temperature measurements, and a lengthy story in the Economist tries to argue that the climate sensitivity may be lower than previously estimated. I think its conclusion is somewhat misguided because it missed some important pieces of information (also see skepticalscience’s take on this story here). 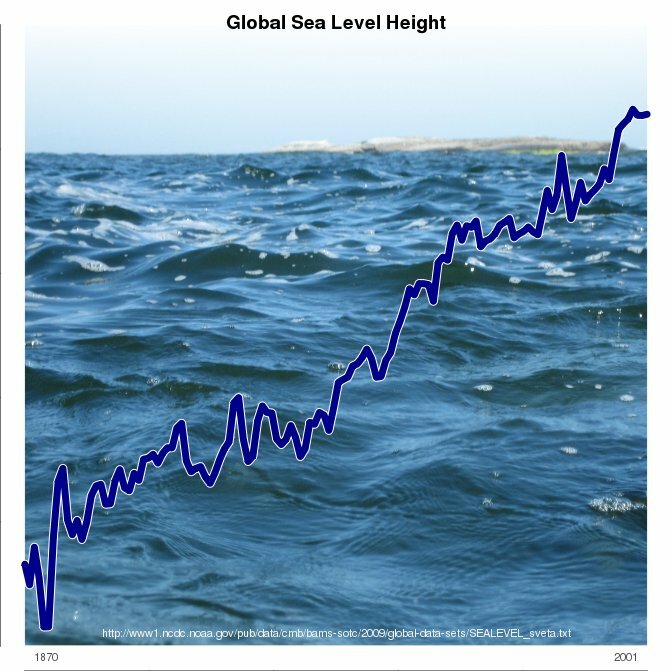 The ocean heat content and the global mean sea level height have marched on. While the Economist referred to some unpublished work, it missed a new paper by Balmaseda et al. (2013) which provides a more in-depth insight. 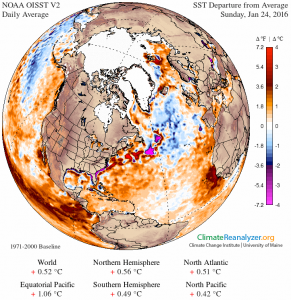 Balmaseda et al suggest that the recent years may not have much effect on the climate sensitivity after all, and according to their analysis, it is the winds blowing over the oceans that may be responsible for the ‘slow-down’ presented in the Economist. Figure 1 in Kargel et al. 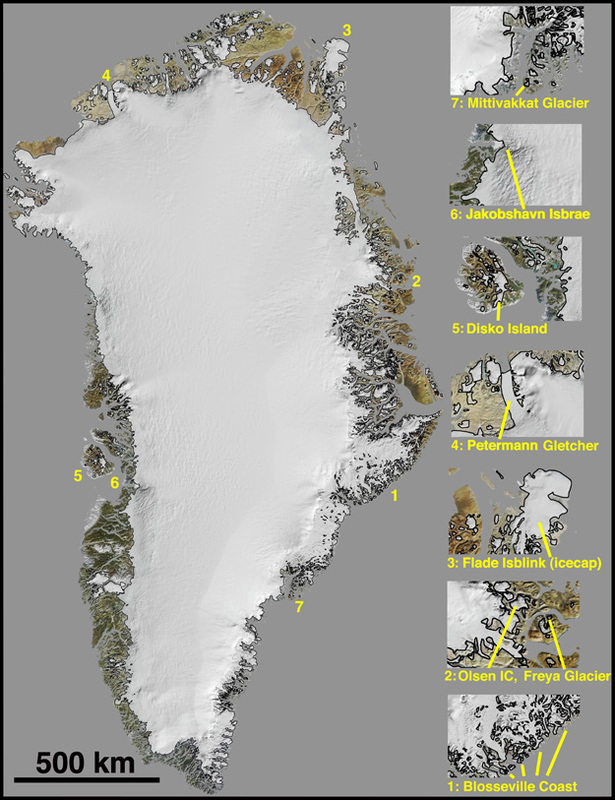 (2011) generated by a collaboration of the Geological Survey of Denmark and Greenland (GEUS) and the Programme for Monitoring of the Greenland Ice Sheet (PROMICE) with the Polar Geospatial Center Department of Geology and Geophysics, University of Minnesota. Contact: Michele Citterio (GEUS) for questions about the glacier outlines or Paul Morin (UMinn.) for questions about the MODIS base image mosaic. Well said. Of course, many scientists can do more, and we encourage all of our colleagues to speak publically about their research and, as the international glaciological research community did in this case, to try to correct misconceptions. At the same time, hopefully, HarperCollins will catch on and recognize that being scientifically literate is not just scientists’ responsibility, but is everyone’s responsibility.